Situated near the base of campus at UC Santa Cruz, the Center for Agroecology and Sustainable Food Systems (CASFS) teaches students and apprentices about sustainable farming and grows a variety of produce items each year. CASFS sells a portion of this to UCSC Dining Services in an effort to put more fresh, local food on students’ plates. To fill a need for experiential, community-based agroecology education at UCSC, students built the 3-acre Chadwick Garden and began CASFS in 1967 with the help of their adviser and garden’s namesake — Alan Chadwick. Due to the success and reception of the garden, UCSC administrators set aside an additional 17 acres for a campus farm in 1971, which has since expanded to 30 acres. For decades now, the center has provided food for students and families in the immediate area. CASFS initiatives like the Food Systems Working Group and the commitment to the Real Food Challenge have brought more locally sourced and sustainable options to UCSC Dining Services. In 2013, a bigger push for farm-to-college food came and CASFS began selling more of its produce to on-campus dining sites. On the 30-acre farm and three-acre garden, employees, apprentices and student interns cultivate the land and produce about $140,000 worth of produce each year, according to Darryl Wong, the CASFS farm site and research land manager. Of this, about 10 percent went to oncampus dining in the 2015-16 calendar year. Dining Services gets less than 2 percent of its produce from CASFS. 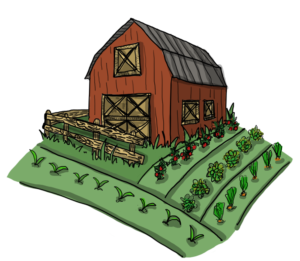 The majority of the food CASFS grows goes to Community Supported Agriculture, a program where people can purchase farm produce shares and receive produce once a week for 22 weeks out of the year. CASFS food is also sold at the on-campus food pantry and pop-up farm stands around campus. All of these programs serve as ways for students to receive farm food as well. CASFS workers regularly work with campus Dining Services executives to find which items the farm can best produce and the dining sites can most easily use and implement into their menus. Throughout the year, CASFS provides Dining Services mostly with potatoes, strawberries, peppers, winter squash, tomatoes, onions and lettuce. During the summer and fall, CASFS is able to harvest items like the potatoes and onions and store them in coolers until they sell them to Dining Services throughout the school year. 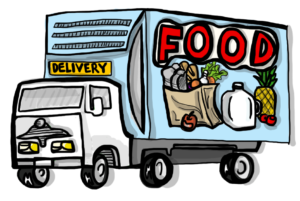 CASFS delivers to UCSC two days a week, and student employees help with the deliveries. 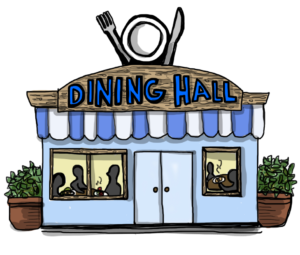 Between June 2016 and now, UCSC Dining Services produce purchases amounted to about $2 million. Because of the small size of CASFS, it will never grow all of the produce UCSC needs. However, Wong does see room for growth. CASFS yields a product-per-acre ratio lower than that of average farms. Because it focuses on the educational aspects of the program, mass production is not its goal. With the implementation of new practices and tools, Wong said there is potential for the farm to increase its production by 50 percent and that the best place for the increase in revenue to go is campus-related spaces. Because Dining Services cannot purchase all of its food through CASFS, it tries to buy the remainder from sustainable sources as well. Dining Services sources a large portion of its remaining produce from Daylight Foods, a company based out of Milpitas, California. It is also currently trying to source more produce through Coke Farm, a farm and food aggregation company based out of San Juan Bautista, California. It works with small and mid-scale farms to get their produce into larger-scale facilities they otherwise couldn’t service. Dining Services currently purchases its beef from Australia but is about to move forward with Harris Ranch Meats, a company in Fresno, California. This move toward more sustainable beef was initiated by the UC Office of the President. Executive chef Josh Martin and other Dining Services staff continue to find local alternatives to improve the quality of food in the dining halls, while also serving over 27,000 meals per day. The Real Food Challenge is a sustainable food program calling on universities to purchase healthy and sustainable food through a set of guidelines. It approaches food through a fourcategory lens, evaluating it based on whether the food is local and community based, produced in a way that is fair to workers, ecologically sound and humane. According to Dining Services executive chef Josh Martin, 21 percent of the food purchased by Dining Services currently qualifies as real food. The university’s goal, which Chancellor George Blumenthal committed it to in 2012, is for 40 percent of its food to be real food by 2020. To meet the 40 percent goal by 2020, Josh Martin works with other dining employees to evaluate the top 10 percent of food items purchased by Dining Services. Through finding local solutions for the largest product needs, such as eggs, chicken and mozzarella cheese, Martin believes Dining Services can reach the goal.